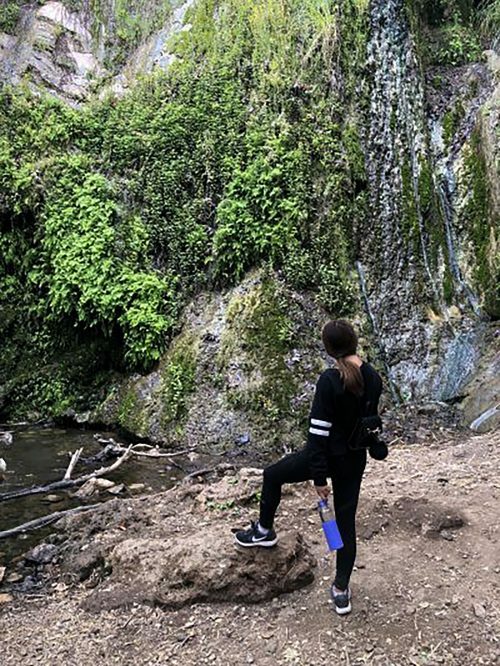 Hiking in Escondido Falls is one my favorite things to do in Southern California. Whenever I need to clear my head, I make the journey to go hiking on this trail to get away from the city. I enjoy putting on my favorite playlist that I created for drives to Malibu and cruising down PCH to clear my head. The entire excursion is about 4 miles round trip and takes around 1 to 2 hours to finish. 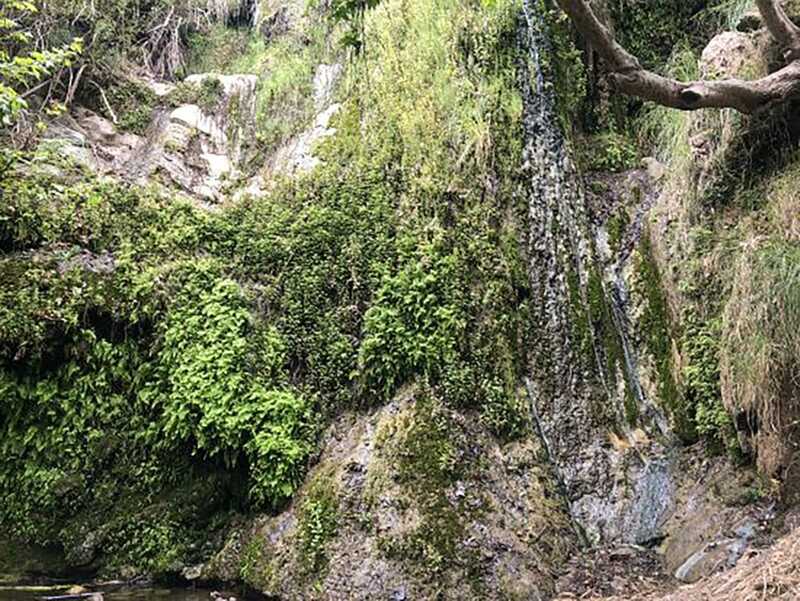 Escondido Falls is located in Malibu and sits high in the Santa Monica Mountains. Upon arriving, you turn right onto Winding Way and spot the small parking lot to your left. I prefer to arrive early in the morning so I’m able to find parking because the lot is small and it fills up fast. There is also street parking that is easily accessible, but you must read the signs carefully. I love how this is only a moderately intense hike so I’m not completely out of breath afterward. The day of this hike I wore a light crop jacket, sports bra, yoga pants, and running shoes. I brought a small water bottle and mini backpack with me. If you plan on climbing to Upper Falls, then wearing hiking shoes and comfortable clothing is recommended. 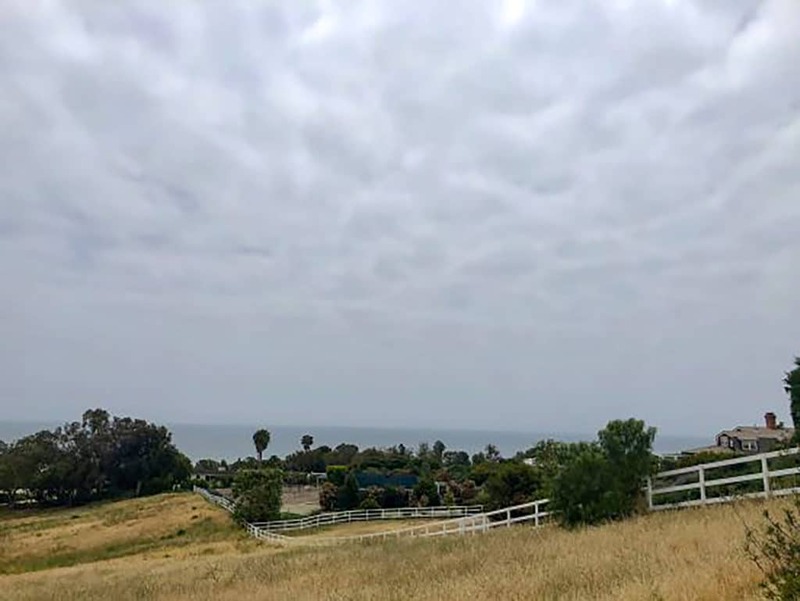 It was around 8am on a cool and gloomy Sunday morning, and I arrived with a close friend who had never been hiking in Malibu. She is used to hiking in Pasadena so this was a great change in scenery for her. In my opinion, the best time to hike is early in the morning. Besides having an easier time finding a parking spot, the weather is also cooler in the mornings. If you're not a morning person then an afternoon hike is perfect too. There is plenty of shade throughout the trails so even on the hottest day the sun will not be to intense. In the distance you can see a glimpse of the ocean. I think what makes this hike so special to me is the beautiful ocean view as I hike up. The hike begins in a residential area. From the parking lot on Winding Way, you walk up a slightly steeped paved road for about 3/4 miles. 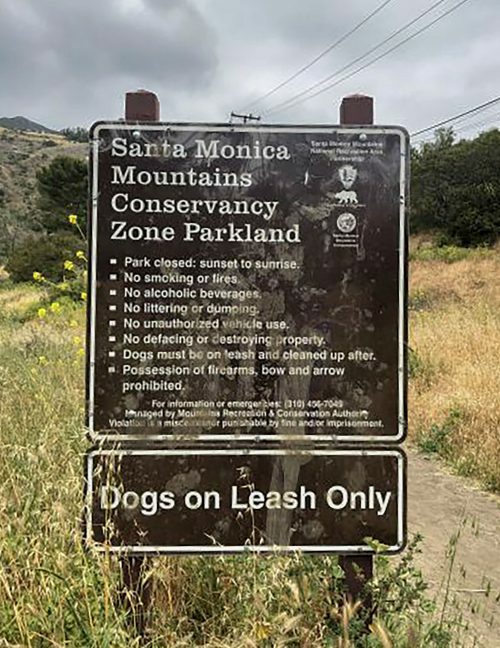 Once you run into this sign, the hike begins. 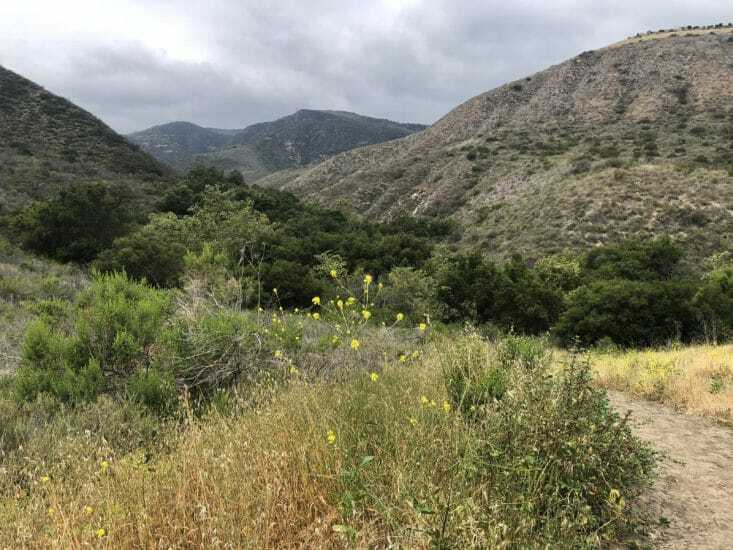 You are welcomed by the beautiful scenery of the Santa Monica Mountains. They are one of the most vastly protected ecosystems due to their variety of unique resources and animals. Make sure you read all the signs carefully and be mindful of your actions. During summer months the weather in this area is very dry and foggy. These mountains are prone to wildfires so respect the ecosystem when hiking. I am always amazed by these mountains because there are so many hidden trails within them. I want to get more involved in hiking and explore the nature that is encompassed within these trails. The path into the hike is downhill to flat surface. The rest of the hike is for the most part flat with rocks here and there. 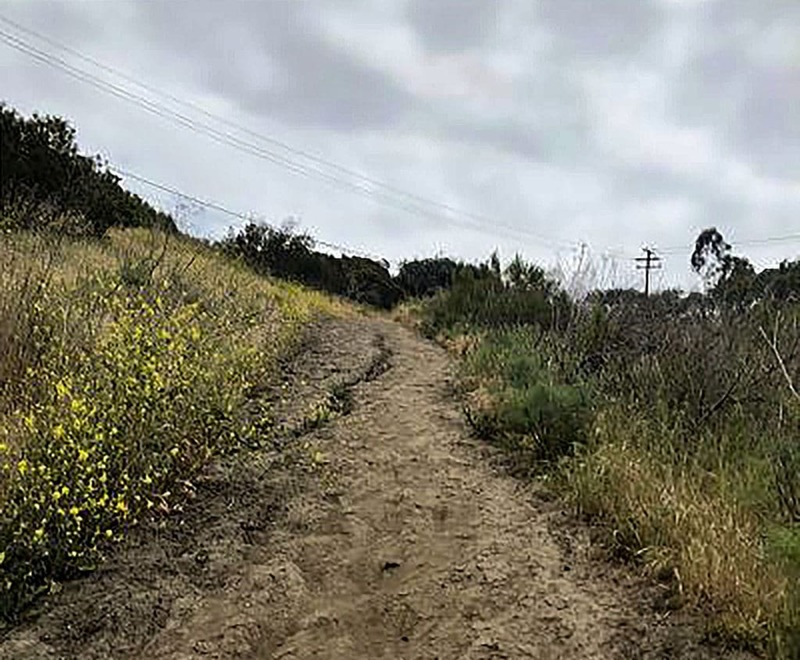 During rainy seasons, I would not recommend walking this trail as it gets very muddy and hiking downward is dangerous. I have tried to explore Escondido a day after it had rained and it was a terrible idea. There was mud everywhere and the ground was not stable. After a little more walking you will start to hear water drizzling (if there isn't a drought). This is a sign the waterfall is near. We’ve reached the first waterfall. It was very subtle as this years rainfall has been mild. It was, however, still beautiful. The second waterfall is located in Upper Falls and it cascades 3 tiers and it’s about 25 feet high, but to get to it you must climb rocks. This is the part where having hiking shoes and a comfortable outfit comes in handy. My goal is to eventually gather the courage to climb to the second waterfall after we’ve had a substantial amount of rain, because it is said to be absolutely breathtaking. The third waterfall empties into a small pool that is a couple inches deep. This one reaches 150 feet and it’s the highest waterfall in the Santa Monica Mountains. Once I get here I usually like to sit down at one of the many rocks and read a book or just people watch. My relaxation session usually lasts 30 minutes. Now that I feel rejuvenated, it’s time to get on with my day. To exit, I simply return the way that I came in. Going back to the entrance is easier as you only go uphill for about 5 minutes and the rest of the return is downhill. After a hike I always feel energetic and stress free, but I’m usually hungry. I’ll stop at the Malibu Farm Cafe which is located at the end of the Malibu Pier on PCH. There’s nothing better on a Sunday afternoon than brunch with a lovely ocean view. The cafe offers quick counter service and features quality organic meals. Here I enjoy some of my favorites; Swedish mini pancakes, scrambled eggs, botanical sodas, and freshly squeezed juice. 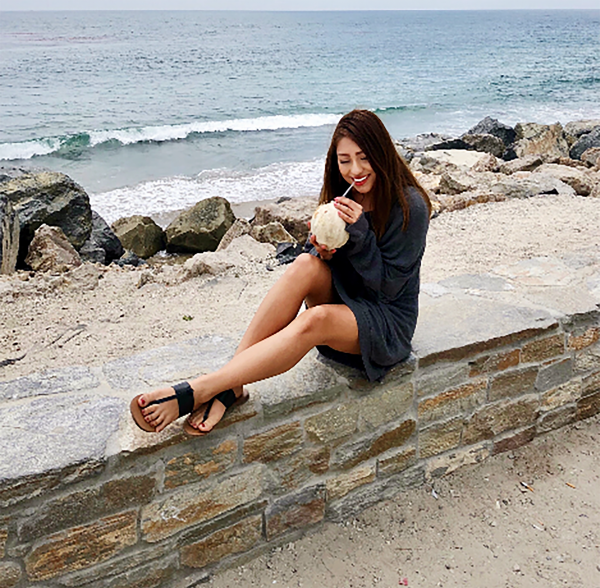 After I leave the cafe I have a tradition of stopping by my favorite coconut vendor and purchasing a refreshing drink or snack. I’ll then sit on the beach, finish recharging and anticipate the week ahead! 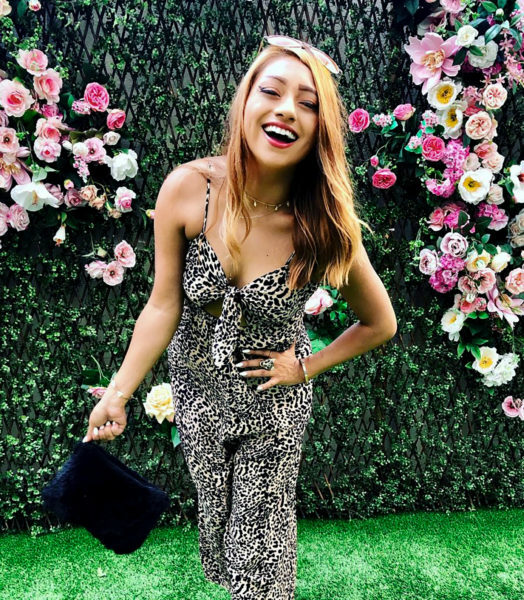 For more fun things to do and see, check out Kristie’s guide to LA—Part 1: Where to Sleep, Sip, and Shop, and Part 2: Where to Dine, Sightsee, Workout, and Get Pampered. My life is centered around designing clothes, trend shopping, concerts, happy hour with friends, yoga/running, and drinking copious amounts of coffee to keep up in the chaotic fashion industry. agirlinlosangeles@gmail.com.